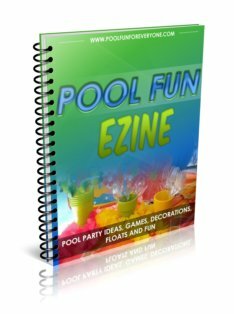 Their are lots of options for swimming pool furniture. From chaise lounge furniture to wrought iron patio table and chairs. Whether you like a traditional or more modern look, there is a style that will fit your taste. Pool and patio furniture can be made of light weight aluminum or heavy teak. All weather resin wicker or wrought iron are other furniture options. 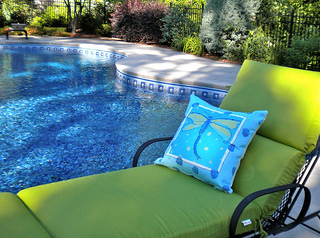 Here are some ideas to help you decide how to best furnish your outdoor pool area. 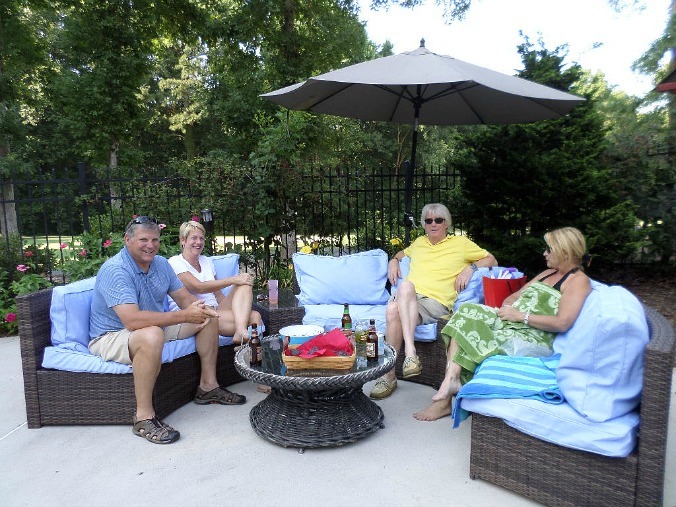 Relaxing out by the pool in a chaise lounge is one of the benefits of being a pool owner. With some thick, compfy cushions to lie on combined with a good book, and a cold drink - well you have the recipe for ultimate enjoyment. 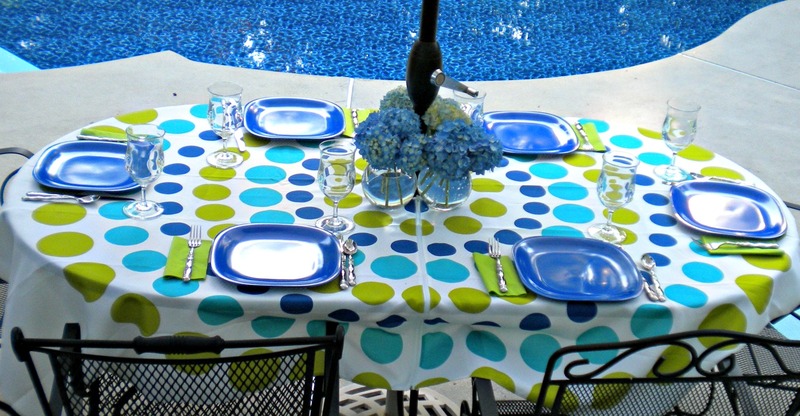 Every swimming pool requires some kind of an outdoor patio table. Our favorite meals are spent out around the pool - whether just as a family or with friends and neighbors. Outdoor wicker patio furniture sets create an outdoor oasis that's inviting for guests or just to spend time alone reading a book. While searching for just such a set we came across this one from Amazon. The reviews were all great and the price couldn't be beat so we ordered the set. It has been a great addition to our pool area. Now I wonder why we waited so long to get these love seats. 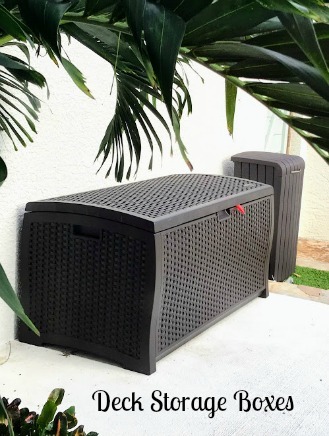 Deck storage boxes protect your outdoor furniture cushions and provide a place to store your pool toys and floats. 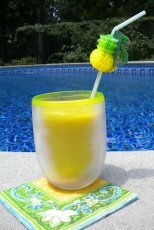 From small to extra-large you can find a size that fits well with your pool area. You can even find deck boxes with seats so it serves double duty. 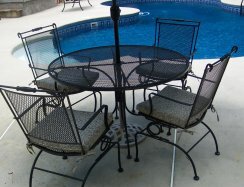 We have had our wrought iron patio table set for as long as we've had our pool - which is almost 20 years. The cushions have been changed out several times and with a wire brush and spray paint it has been revived more than once. 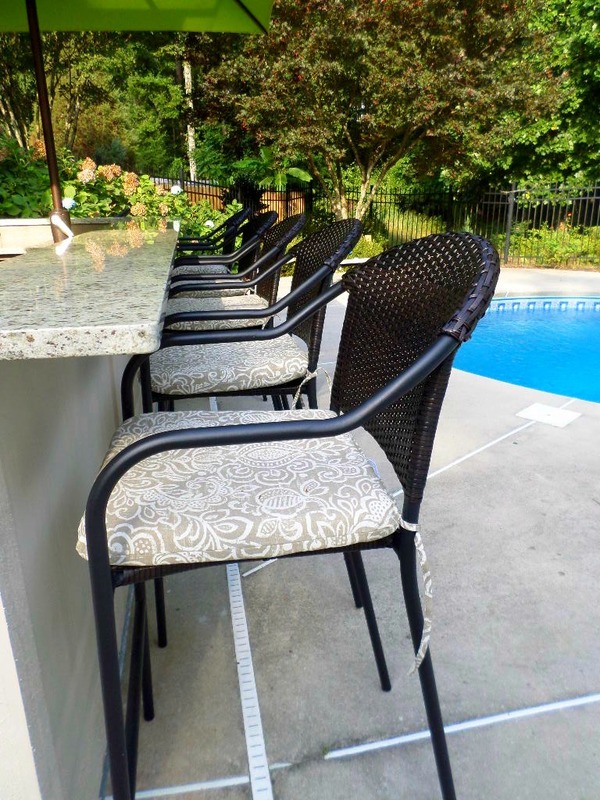 When we completed our outdoor bar area and started shopping for outdoor bar stools we got some serious sticker shock! I wanted stools that could swivel and we needed 6 of them. We gave up on the swivel idea when we found out one bar stool cost more than a custom living room chair! 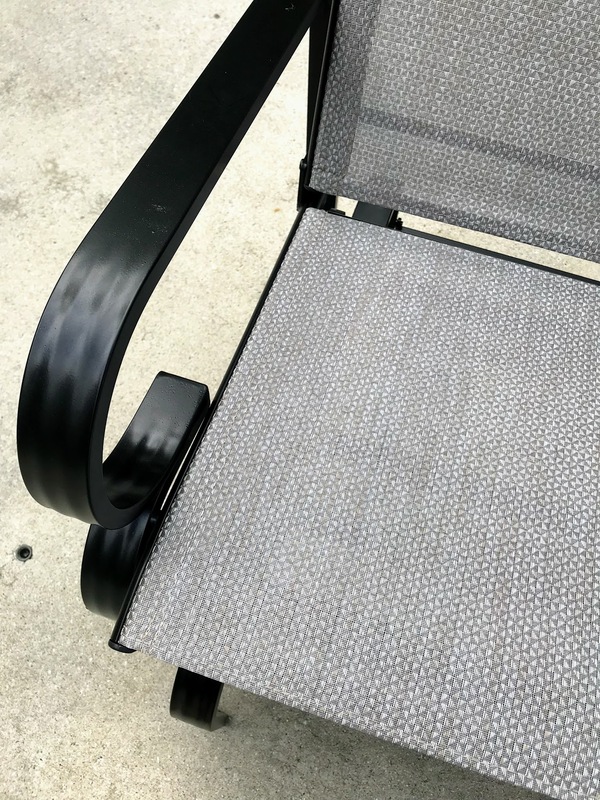 We ent with these outdoor wicker bar stools from Lowes and love them. They are sturdy but not real heavy so they are easy to move. Outdoor furniture chairs come with or without cushions, as gliders or rockers or with ottomans. 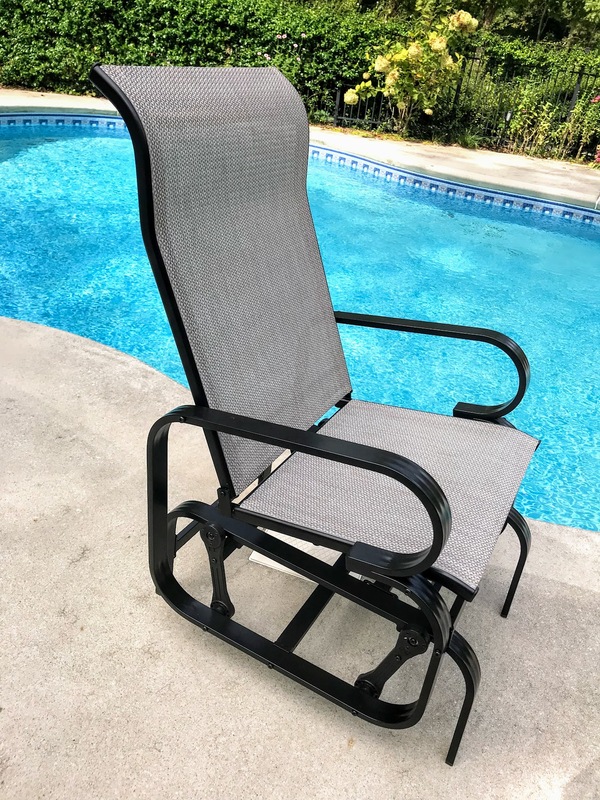 Pool deck chairs that are comfortable, but minus the hassle of keeping cushions dry, clean or updated, include those made with mesh fabric like this one pictured. The fabric is waterproof and quick drying so there's no wet soggy, dripping cushions to deal with. The durable aluminum frame is sturdy but not too heavy to move around. A high back, arm rests and a gliding feature all add to our list of favorite features.